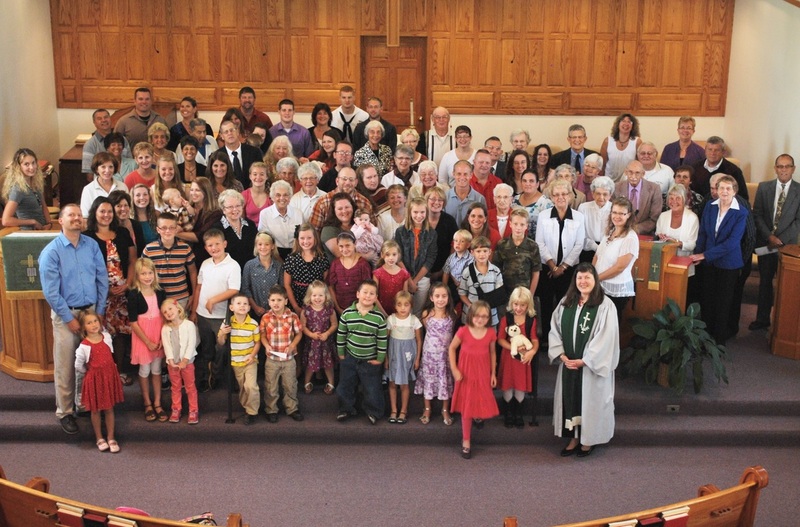 Called by God to leave their native Germany in the 1860’s for the opportunities and freedom of America, sixty Attica families came together to form St. Paul’s Evangelical Protestant Church at 11 Washington Street. 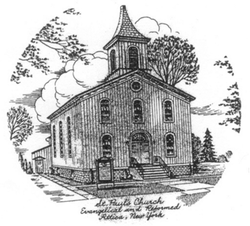 Prompted by the Holy Spirit, in1938, St. Paul’s joined with the Reformed Church of America to form a unified denomination, the Evangelical and Reformed Church. In 1957, the call for unity was answered yet again when St. Paul’s embraced the unprecedented creation of the United Church of Christ (UCC), taking as our motto, “That they may all be one.” (John 17:21) From standing against slavery (one of the first churches in the fight to free slaves and first in founding schools for freed slaves) to standing with Dr. Martin Luther King, Jr. and Cesar Chavez, the UCC has always embraced the Gospel’s call for social justice. We stand as part of a united and uniting church. Diverse in race, color, creed, age, marital status, gender orientation and opinion, UCC members live out Jesus’ Great Commandments to love (John 13:34-35). Our faith is firmly rooted in the Bible. Yet, the Holy Spirit reminds us that the word of God does not end in scripture. We never place a period where God has put a comma, because God is still speaking.